In the second of a series of articles on the use of Unmanned Aerial Vehicles (UAVs) or drones for ecological survey, BSG Ecology Partner Steve Betts discusses their potential for habitat mapping and assessment work. BSG Ecology is actively investigating the use of drones for habitat mapping. 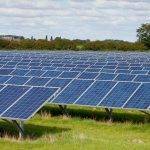 They provide an efficient option for collecting high quality still and video images at sites, particularly those where physical access or terrain is dangerous or challenging, or areas that need to be surveyed are extensive. Large areas of land can be covered relatively quickly using a UAV, although the survey time will depend on the level of detail that is required and the type of drone used. A Civil Aviation Authority (CAA) ‘Permit to Work’ typically allows drones to be operated under Visual Line Of Site (VLOS) rules, which means that they can be flown to a maximum height of 400 feet and a maximum horizontal distance of 500m from the operator. Consequently it should theoretically be possible to survey an area of 1 km2 from a single launch site. If the survey area is larger than this then multiple launch sites / landing locations are likely to be required. In addition to the requirement to obtain a Permit to Work from the CAA, it will also be necessary to obtain land owner permission for all areas that are to be overflown. Whilst the legal situation regarding flying over third party land is not particularly clear, it is advisable to seek permission to avoid complaints. Aerial images provide a useful means of assessing habitat types using broad-scale mapping techniques. At its most basic level it is possible to characterise many habitats according to Phase 1 Habitat Survey classes, and in certain situations it may be possible to identify the boundaries of homogenous vegetation stands. To increase the robustness of the data it may be desirable to undertake a ground-truthing exercise, but for some habitats, such as certain grasslands and scrub, it is possible that robust characterisation can be achieved using aerial data alone. Whilst drones provide a means of collecting data efficiently over an extensive area, they are also likely to be useful when surveying sites where access on foot is problematic, e.g. bogs, watercourses, cliffs, intertidal habitats. 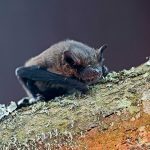 However, it should always be borne in mind that these habitats may potentially support populations of sensitive fauna, such as birds, and consequently disturbance may be an issue. Software is available that will allow overlapping aerial photographs to be joined together to create an ortho-rectified photo mosaic. The processing power of some software packages is very sophisticated, allowing three dimensional images to be created using information embedded in aerial images collected using drones. For example, a series of overlapping images covering a quarry site can be processed to create a three-dimensional image that shows the features of the void. The three-dimensional image can be used for accurate volumetric measurements, and can help with visualising a target whether it is the landform, a structure or a building. The resolution of the digital camera is potentially a significant limitation to the application of the equipment. For example, a 12 megapixel camera has a sensor with 4000 x 3000 pixel coverage. Image resolution will reduce with increasing distance from the subject, and ultimately this will dictate the maximum range at which the UAV can be used for a particular subject. The following example illustrates this point. 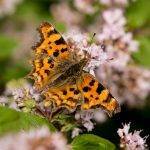 At an altitude of 20m a single pixel covers an area of approximately 30mm2: by comparison, at 40m elevation a pixel covers an area of approximately 125mm2 which means that there is significantly lower image resolution with increasing distance from the subject. It therefore follows that resolution of small targets (e.g. leaves) may require that the UAV is close to the target. Whilst this will improve resolution, the trade-off is that the field of view (area covered) will be reduced. Consequently more still images are required to cover a given area of land, particularly if the objective is to generate ortho-rectified photo mosaics. The wide angle lenses used on some drones will result in some image distortion and so a high degree of image overlap is required to generate a good quality photo mosaic. 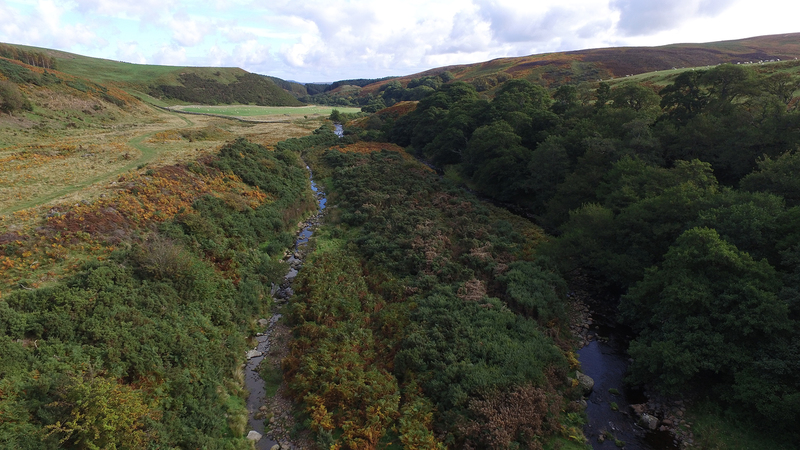 Steve Betts, Partner, has been using a drone to assess habitats at various sites in Northumberland. 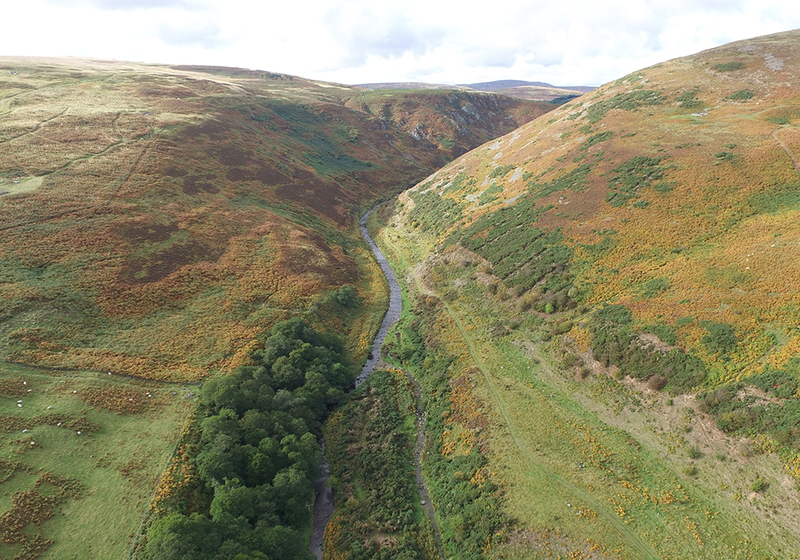 In this example the drone has been used to photograph the Carey Burn, which is a small upland stream just outside Wooler. Photograph 1 is taken at an altitude of about 50m and shows the physical context of the watercourse where the gently meandering channel is clearly visible. Riparian (bankside) habitats are identifiable and a split in the channel is obvious at the bottom of the image. 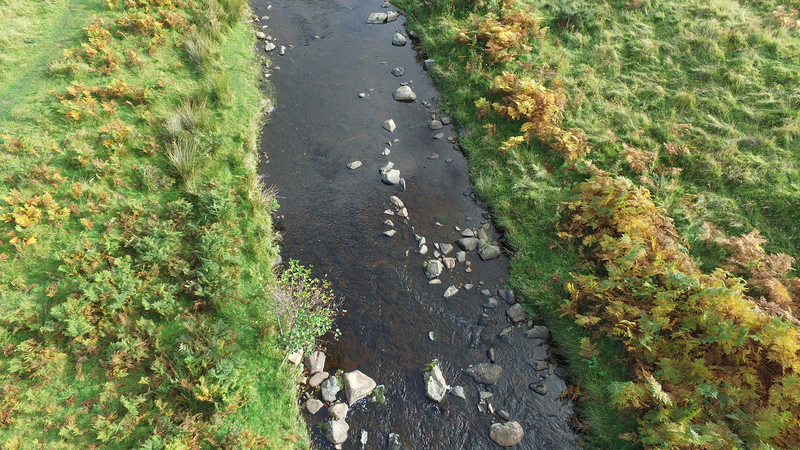 Photograph 2 shows a close up of the channel of the same watercourse taken at a height of about 5m. The bank vegetation, including grasses, rushes, ferns and shrubs, can be seen and the flow type is easily discernible. Using the drone it was possible to collect detailed photographic information over a 200m section of watercourse in a short period of time. Ortho-rectification is the process of improving the horizontal accuracy of imagery. A 12 megapixel camera is mounted as standard on the DJI Phantom and Inspire drones.